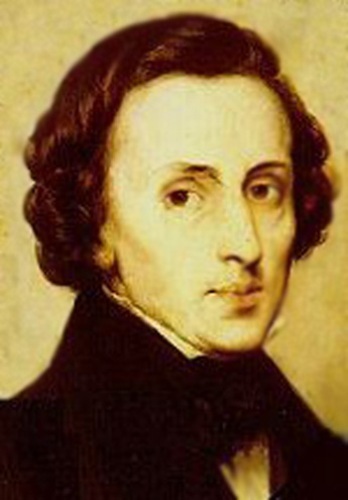 Frédéric Chopin facts are major interest for people who love music. He was one of great composers around the world. The facts below can really help people to understand about him. At least, you can start to recognize his talent. Frederic Chopin was born in 1810. The place of birth was west Warsaw in Poland. The day of his birth was uncertain. Yet, there was local baptism stated that he was born on 22nd December. The parents stated that he was born in 1st March. In the age of six, Chopin started to compose music. He also started to write poetry. His first public concert was in 8 years old. His talents came from the parents who were a piano teacher and a violin player. He was considered as small artist. Chopin really loved Bach. He even forced his students to play Bach each day. The purpose was to make the fingers stronger and gaining better mathematical music mindset. It becomes general knowledge among people actually. There was confusion about piano concerto no.1. The second was first written than the no.1. Yet, the first one was published after the second. People became troubled by this fact sometimes. Though, he still gained huge popularity among people. Chopin arrived in Paris in the year 1831. He never returned to his homeland. Perhaps the main reason was because of his friendship to famous composers there. Those composers were Berlioz, Mendelssohn, and also Liszt. He was very modest piano teacher. Although his pupils were rich, he didn’t even have the intention in asking them for money. When he decided to come back from Paris, he met his love Maria Wodzinski. He had engaged and planned for marriage. Yet, the relationship ended because of his bad health. The marriage plan ended as well. Some people considered that the minute waltz would last around a minute. The fact is that it lasted for minutes. Frédéric Chopin Facts 9: cause of death? Many people believed about the basic reason of his death. It was because the bad health in the year 1835 during his engagement. In his life, Chopin had an affair with George Sand. She was great novelist in the time. The real name was Aurore Dudevant. The facts about Frédéric Chopin are sufficient to fulfill people’s concern about Chopin. I hope you obtain the same satisfaction.